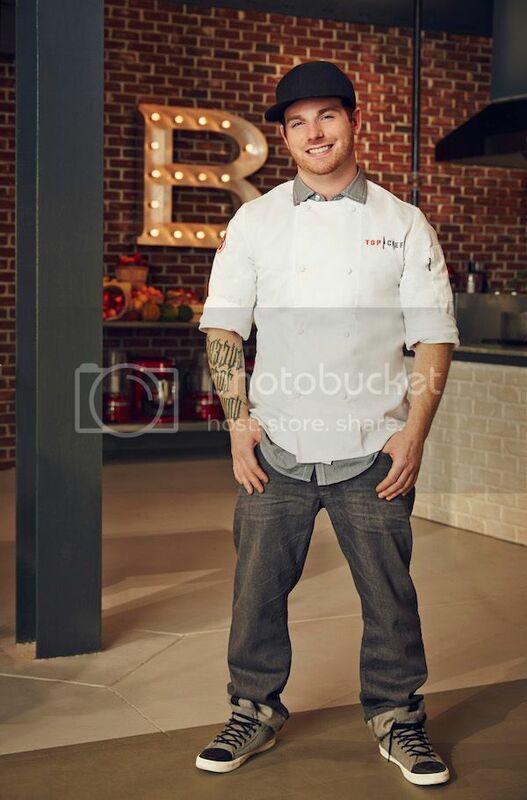 NoHo's Aaron Grissom is on TOP CHEF! So you know how the NoHo Arts District dot Com team loves to brag about our fabulous North Hollywood folks, right? We also like to give shout outs to our yummy restaurants that have made their home in NoHo. Well, combine both and we have the great news that Chef Aaron Grissom from Bow & Truss joins the cast of Bravo TV’s Top Chef Boston. Mark your calendars and tune in to he 12th season of “Top Chef” on Wednesday, October 15th at 10PM ET/PT. 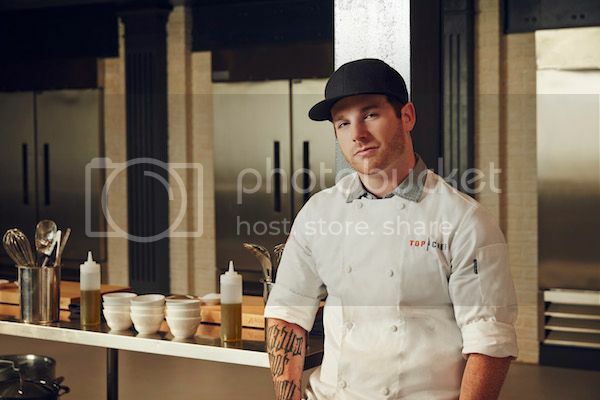 NoHo's Aaron Grissom will be one of the chef'testants battling it out against the backdrop of Bean Town’s flourishing culinary scene. The chefs will go knife-to-knife at iconic Boston locales including Fenway Park, Plimoth Plantation and The Bull and Finch Pub, which served as the inspiration for “Cheers” and where exterior shots for the show were filmed. Mirroring Boston’s own rich history, Season 12 is full of firsts, including the first meal ever served on the field underneath the Green Monster, a challenge using only ingredients that would have been on hand at the first Thanksgiving meal, the first “Top Chef” food festival and the first fan appreciation challenge where fans of the show were invited to dine inside the “Top Chef” kitchen. The show will also feature a challenge highlighting Boston’s finest from the police and fire departments. The stakes are higher than ever as “Top Chef” introduces sudden death Quickfire challenges that occur without warning throughout the season and a fiery judges table that puts every chef on the spot. The chefs will be tasked with serving up food for top entertainers, culinary stars and celebrity guest judges including: actress Emmy Rossum, Rob “Gronk” Gronkowski of the New England Patriots, MLB Hall of Famer Dennis Eckersley, actor George Wendt (Norm from “Cheers”), “Watch What Happens Live” host Andy Cohen, Todd English, Barbara Lynch, Jasper White, Ming Tsai, Jacques Pépin, Ken Oringer and Jamie Bissonette. So who is Chef Aaron Grissom from North Hollywood's Bow and Truss? "I began cooking very young, around the age of 13. I was constantly in the kitchen with my grandmother and mother watching them prepare meals for the family. However these lessons were short lived. My mother stopped cooking when she got sick and we didn’t have much in the way of a “home cooked meal.” I took it upon myself to keep the family traditions alive and turned to some of my grandmother’s hand written recipe cards. I remember flipping through them for things I thought would be good for dinner and then discovered a hollandaise sauce recipe. Previous to my discovery I was, and still am, an Eggs Benedict connoisseur. The hollandaise sauce sparked my curiosity so I began testing, and failing. It was years later I learned how to do it properly in a professional kitchen. I began cooking professionally at the age of 19 in a restaurant called the Pomodoro in Tacoma. I didn’t enjoy the work environment much so I left the Pomodoro to cook in a fine dining restaurant called Il Fiasco. I fell in love with food. I was responsible for making desserts and tossing salads. One day the chef gave me the opportunity to write the dessert menu and have a couple salad specials on the fresh sheet. I ran with it. I began modernizing classic American desserts like S’mores, Snickers bars, Reese’s pieces cups, baked Alaska so on and so forth. It wasn’t until I began making marshmallows for the handmade s’mores that I truly found myself loving cooking. I’m not sure what it was exactly, but being able to produce something from scratch that have only been previously purchased in a bag must have done it. I was ahead of myself at this point, trying to reinvent classics and deconstruct certain menu items. I would go home and write ideas for hours. Compiling many notebooks of crazy ideas, I presented my ideas to the chef and I just remember him laughing: “Son, this is all very interesting, and quite impressive, but you need to learn the basics before anything." Many years passed before I found he was right in that statement. I trained under Kyle Wnuk and Daniel Hutchenson. These two really sparked my passion. We learned stocks, curing meats, classic Italian, modern American. I treated this job like it was culinary school and to this day credit this restaurant experience to the foundation of my skills. After Il Fiasco I left to gain some country club experience at a golf course called Chambers Bay. Chambers Bay was involved in many catering events, including the PGA golf tournament, countless weddings, buy outs, event dinners and wine pairings. I trained under Dustin Joseph, who attended Johnson Wells Culinary Academy. I learned the basics from Dustin, what I had been needing. What was gained most was the catering experience on a very large scale...wedding after wedding, tournament after tournament. I left Chambers Bay and I landed a job at a gastro pub called Dirty Oscars Annex, (DOA). The bar was a dive. Barely any business. We took it from nothing to the front row, premier gastro pub of Tacoma. After building the business for a couple years we received calls from the Food Network asking if we were interested in shooting with Diners Drive In’s and Dives. We became so popular in Tacoma that guests were actually calling into the Food Network explaining that they must come check it out. We shot in October 2012 and shortly after the shoot I was invited down by Guy Fieri to help cater his birthday party in Santa Rosa. I took the opportunity and pursued a job from Guy’s friend who was opening a gastro pub in Venice the following year. I came down and opened Louie’s of Mar Vista as the consulting chef. Eight months in the place was running like clockwork and my job had concluded. Previous to my departure at Louie’s I heard that Bow & Truss was looking for a chef. I took the interview with Shad Davis and liked everything about the job offer. I enjoyed the idea and challenge of stepping into the Spanish side of cuisine, previously foreign to me and my style. I moved to North Hollywood in February and haven’t looked back." Here's a sneak peek at Top Chef Season 12. Returning to the judges table for the new season in New England are head judge Tom Colicchio, judges Gail Simmons, Hugh Acheson and host Padma Lakshmi. For the first time ever, a “Top Chef” winner is joining the judging panel. Richard Blais will make his debut as a recurring judge offering the chef’testants guidance from a chef and a former competitor’s point of view. Additionally, “Top Chef: Last Chance Kitchen,” the Emmy Award-winning, groundbreaking digital video series, sponsored by Hidden Valley® Food and The Glad® Products Company, and hosted by Tom Colicchio, returns for its fourth season. The companion series kicks off with a two-part redemption midseason and continues until part one of the finale. Each week, eliminated chef’testants face-off in a pressure-filled, battle royale to compete for the ultimate prize – redemption and a spot in the “Top Chef” finale. Fans can follow the “Top Chef: Last Chance Kitchen” challenges on BravoTV.com, as well as join in the social conversation and see what the chef’testants have to say during the competition by following @bravotopchef on Twitter or liking the Top Chef Facebook fan page. The series can be seen on desktop, mobile and tablet at www.BravoTV.com, m.BravoTV.com, on BravoNow iPhone and iPad apps, as well as iTunes, Amazon, VOD and Hulu. Bravo is a program service of NBCUniversal Cable Entertainment, a division of NBCUniversal, one of the world's leading media and entertainment companies in the development, production, and marketing of entertainment, news, and information to a global audience. Bravo has been an NBCUniversal cable network since December 2002 and was the first television service dedicated to film and the performing arts when it launched in December 1980. For more information, visit www.BravoTV.com. Get ready for NoHo Worldwide! The world famous Millennium Dance Complex in the NoHo Arts District announced today that it has launched a worldwide expansion effort with three new franchised studios opening in Pittsburgh, PA, Salt Lake City, UT and in Tokyo, Japan with additional franchises opening soon in the U.S. and Japan. So a studio that opened its doors in North Hollywood is now expanding all over the world. Let's give a big round of North Hollywood applause to the team at Millennium NoHo! Known for its “best of breed” dance instruction, “A-List” celebrity clientele and famous choreographers, Millennium is franchising its winning formula and brand worldwide to provide the best dance instruction the industry has to offer to all levels of dancers anywhere in the world. The flagship Millennium in North Hollywood, CA has been the official dance home to some of the biggest names in music today, including Justin Timberlake, Miley Cyrus, Britney Spears, Selena Gomez, and Pink as well as to some of the highest profile choreographers in the industry such Marty Kudelka (Justin Timberlake’s personal choreographer). Millennium is the place where L.A.’s headliners, backup dancers and their choreographers go to showcase, hone or check out new moves, or simply to get in a vigorous workout among top instructors and fellow professionals. The opening of the Millennium in Tokyo kicks off Millennium’s international expansion and is the first of seven franchises scheduled to open throughout Japan under the terms of Master Franchise Agreement with Millennium Japan, Inc. In addition to opening the Millennium Dance Complex in Tokyo, Millennium Japan will be responsible for developing the Millennium brand in Japan and oversee day-to-day management of franchise operations. Millennium Dance Complex USA will provide the systems necessary for Millennium Japan to sell and oversee operations of Millennium franchises in Japan, Including on-going training and support to Millennium Japan’s staff. “There is no more recognizable or respected brand in instructional dance than Millennium,” said Shuichi Iwata, President of Millennium Japan.” After thoroughly researching the instructional dance industry, we are confident the Millennium brand will become a great success in Japan.” The company also announced the formation of an Advisory Board composed of professionals with deep expertise in varied industries including media, marketing, dance and entertainment. Advisory Board members include Anita Elberse, Harvard Business School Lincoln Filene Professor of Business Administration, Michael Nyman, Chairman and CEO of PMK-BNC, Robin Antin, Pussycat Dolls Founder and Entrepreneur, and Jin Lee, Vice President of Millennium Dance Complex. The Company will be announcing additional members in the near future. The original Millennium Dance Complex was created in 1992 by Ann Marie Hudson, who was later joined in the management of the studio by her partner Robert Baker. The two initially met beneath the lights of Broadway in New York and then danced their way to fame as operators of one of the world’s premier hip-hop/modern dance studios. In addition to today’s top music headliners that have trained at the legendary studio, its legacy also includes Michael Jackson, who used Millennium Dance Complex to hold auditions for his tours and videos, and “Pussycat Dolls” creator Robin Antin who formed the group at the studio. A variety of television shows and segments have been filmed on-site including the MTV hit “Dancelife” with Jennifer Lopez. While demand is growing for high-quality contemporary dance instruction, the few long-established chains currently offer more traditional types of dance and do not focus on the latest techniques of contemporary dance. Many mom-and-pop independents, on the other hand, are struggling to handle the challenges of owning and operating a successful studio. The Millennium franchise program will offer those looking for a change from either of these situations, a fresh new opportunity. Single, multi-unit and master franchise opportunities are available in markets throughout the US and abroad. Those interested should visit http://millenniumdancecomplex.com/millennium-dance-franchising/millennium or contact Robert Baker at robert.mdcdance@gmail.com or 818 645-5321. **** For information on Los Angeles theatre, tickets to theatre in North Hollywood's NoHo Arts District, theatre reviews, the NoHo Event Calendar, restaurants, news and local businesses in NoHo, bookmark nohoartsdistrict.com. When I was in college and grad school, research was for papers, and papers had to be carefully defended. I had to read all or part of several books and/or articles for each paper and provide a bibliography. Recently called "Darlings of the Fashion World” So Cal based band Early Morning Rebel is proud of its LA roots but their soulful sound has universal appeal and has been winning hearts in Europe as well as the U.S. We caught up with EMR lead guitar player Dustin Bath fresh off the fashion show runway world of London and Paris Fashion week. mylittlebrother have released their emotion filled EP ‘Nosedive’. It is a is very Beatle-esque bunch of songs, letting the listener become immediately familiar with its tone and sound. The band have taken their influences, added their own style and have created something not to be taken lightly. What makes it even better is that it isn't only one style, at times it can come across slightly folksy adding a more poetic side to the songs. As a teen in the early 90’s, with a flair for the English language, Lindsay William-Ross never imagined her future would end up like this: no, she’s not addicted and destitute, not broken or battered, she’s a writer. More specifically, she’s the Editor-in-Chief of LAist.com, one of Los Angeles’ most fashionable news and events websites, profiling everything Angeleno. Curb you dog for Peesake! Can you imagine wearing your new tennis shoes and you step into a pile of poop? You would be pretty angry. What if you where the manager or owner of an apartment building and the lawn was being ruined by local dog defecation? Mom, what if your toddler decided to rub the hot steaming poop on her face?